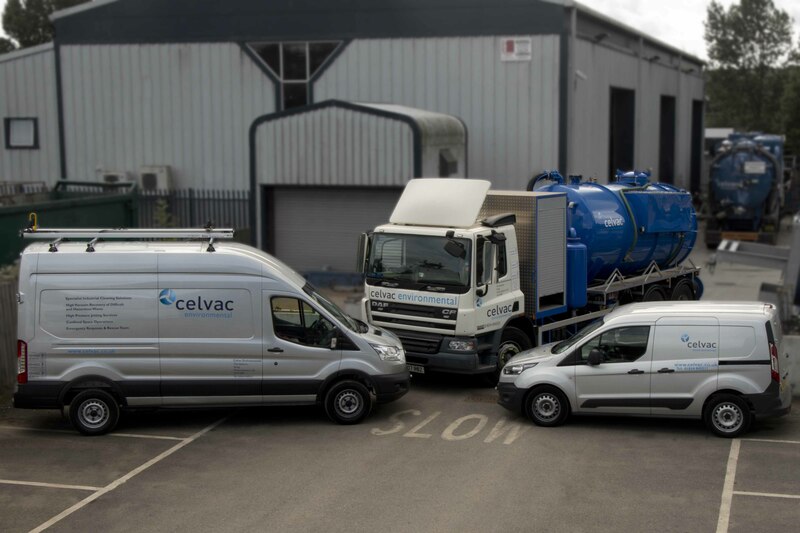 Following a long-term major contract award across the Thames Water region we are currently recruiting out of our Slough office for the following personnel: HGV Drivers Class 1&2, Confined Space Operatives and Site Team Leaders. 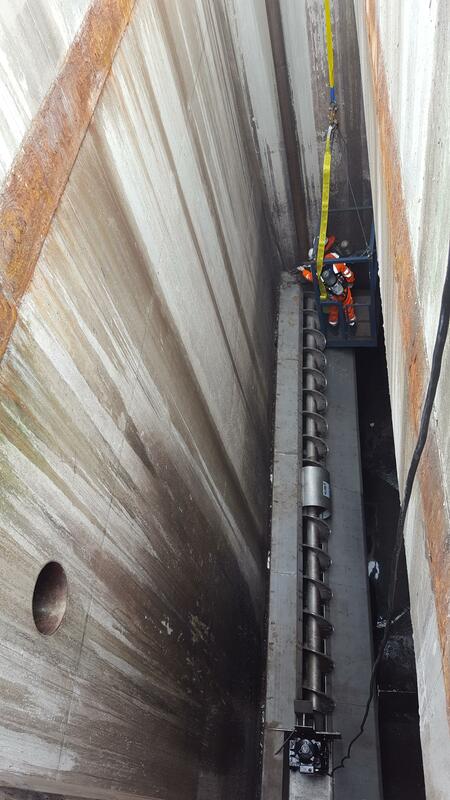 A positive attitude to working safely is a must and waste water experience preferred but not essential. 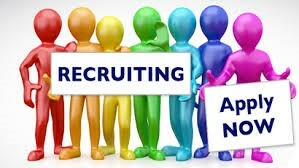 We are also recruiting for HGV Vehicle and Plant Fitters, Project Managers and planners, admin and accountancy support. So if you think you've got good organisational skills, can communicate well, enjoy a challenge and thrive in a learning environment we may have the job for you. If interested please email info@celvac.co.uk or ring 01834 845511 and speak to Lisa Phillips, our recruitment manager. Come and talk to us on our stand about how we can help optimise your processes. We're looking forward to see you. 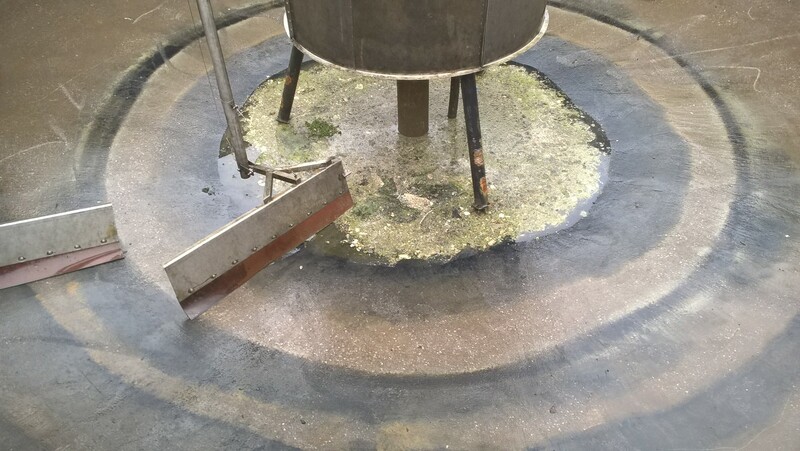 Another storm tank cleaned for a framework client. 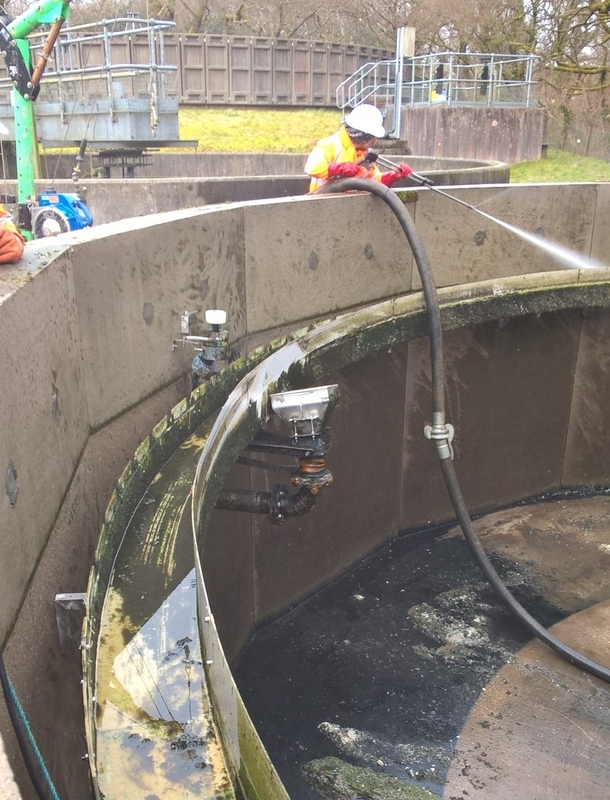 PST cleaning this week by our confined space team, using extendable lances and counter balance winch access for when entry was made. Another job completed and another satisfied client. 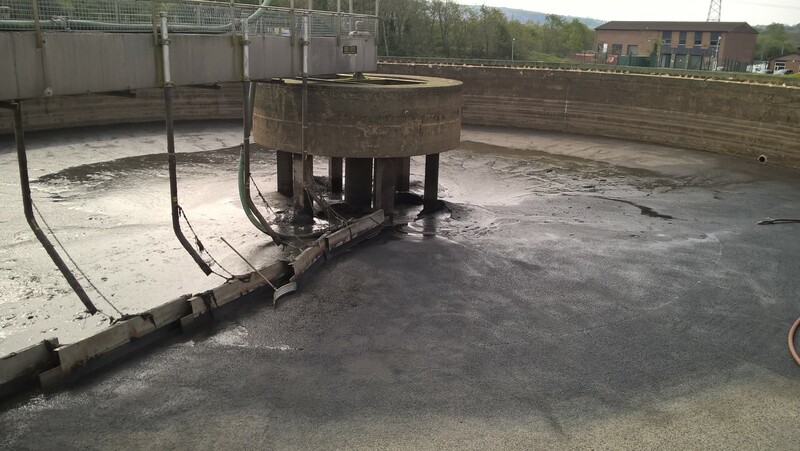 Today HV7 and our Clean Water confined space crew cleaned a sludge holding tank on a potable works, under a very tight timeframe and against incoming flows controlled by tankers. 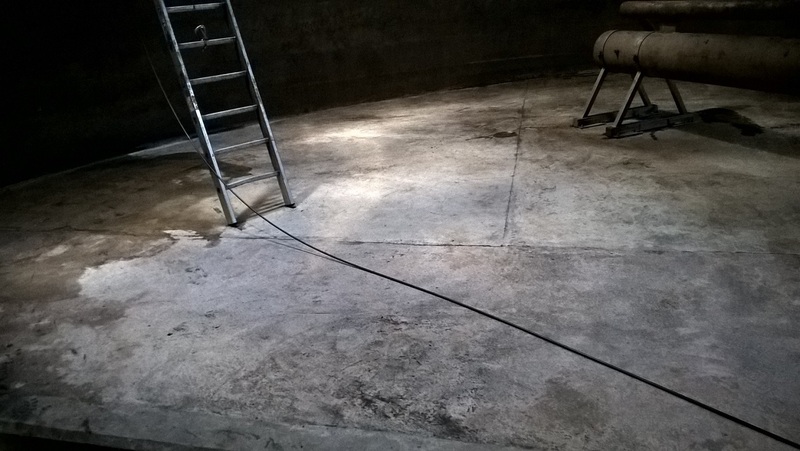 Job was complete within 3 hours, our client is very happy and we are now scheduled to do it every 6 months. Well done Danny, Scott B and Paul B. 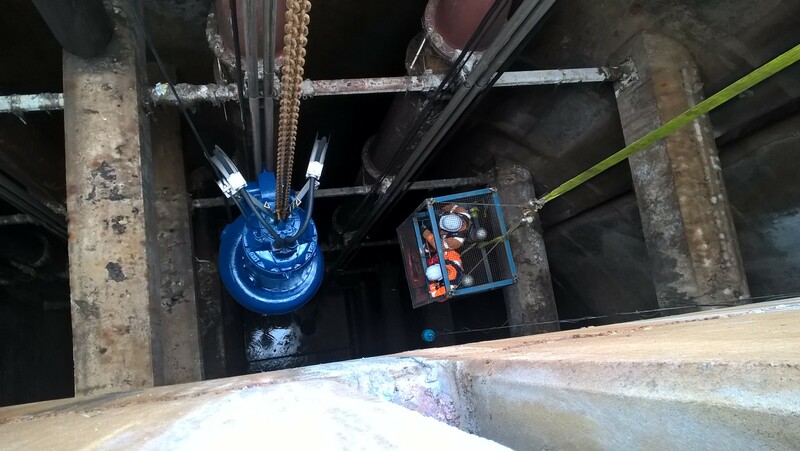 Another pump exchange has been undertaken by Celvac's confined space team, safely and successfully. 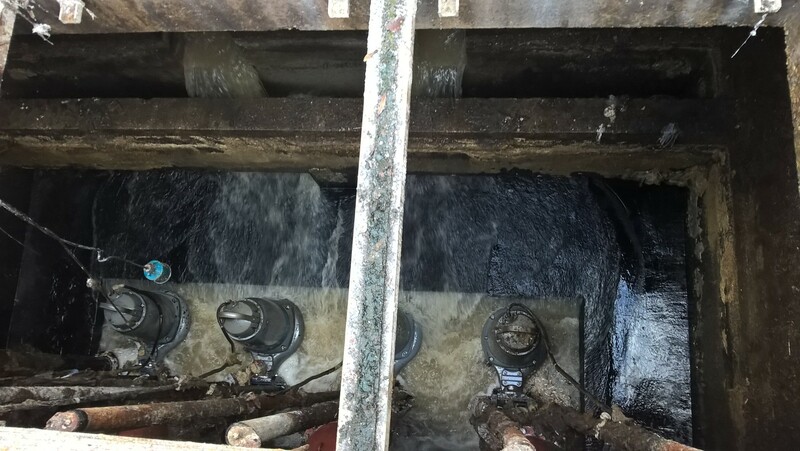 Over the years we have assisted with the removal and replacement of pumps and other pieces of equipment from deep confined spaces and on this occasion the pump was retrieved from a depth of over 35m. 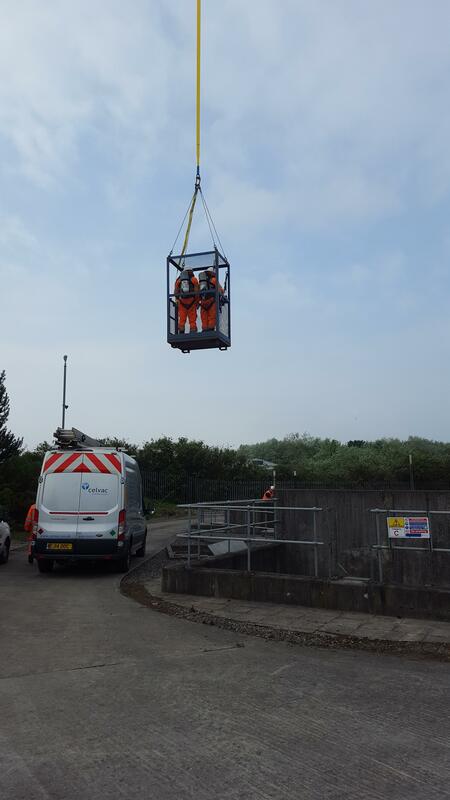 This operation involved 3 cranes, 1 x 100t to lift the pump, 1 x 25t to lift the man-riding basket and another crane on standby for emergency retrieval of the man-riding basket. 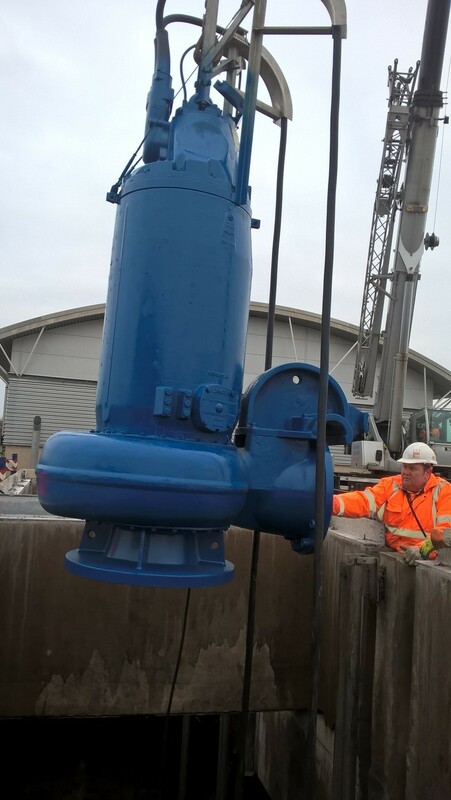 Our team was equipped with full BA and life jackets and followed a safe system of work that was developed in partnership between Celvac, the client and the crane company. In fact this methodology has been adopted by our client as best practice across all of their regions of operations. 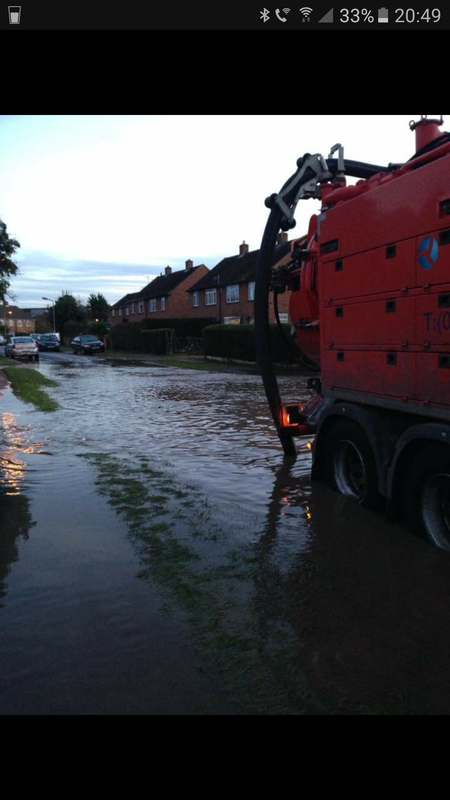 Our fleet of 3k to 6k tankers have been busy assisting Thames Water in dealing with rising water levels across their pumping station network all weekend. If you need any support, then ring 01834 845511, 24hrs a day. 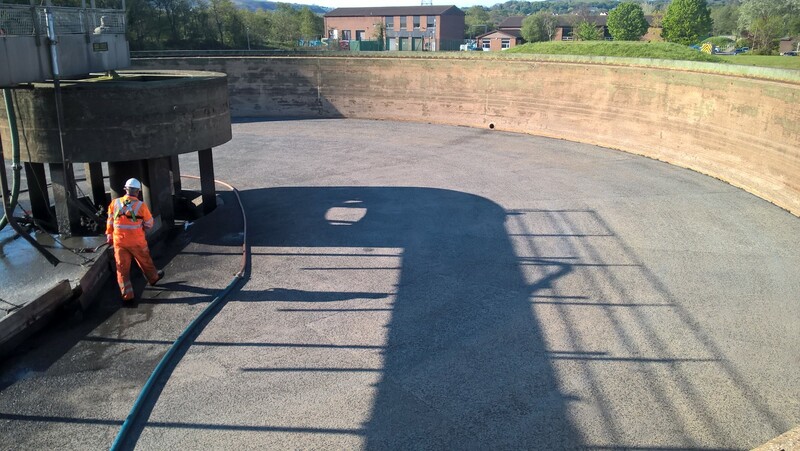 We've had a busy start to 2017, having already finished the cleaning of 2 waste water digesters. 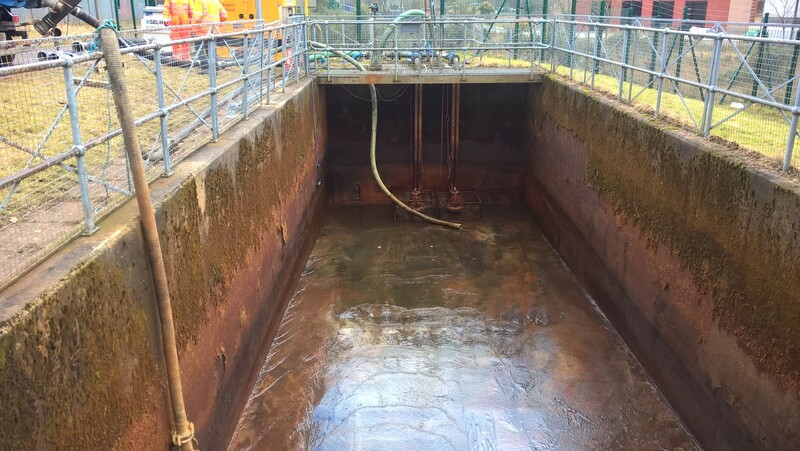 We've processed over 3000m3 of waste via our mobile screening units and are now waiting for these assets to be handed back to us for purging and refilling. 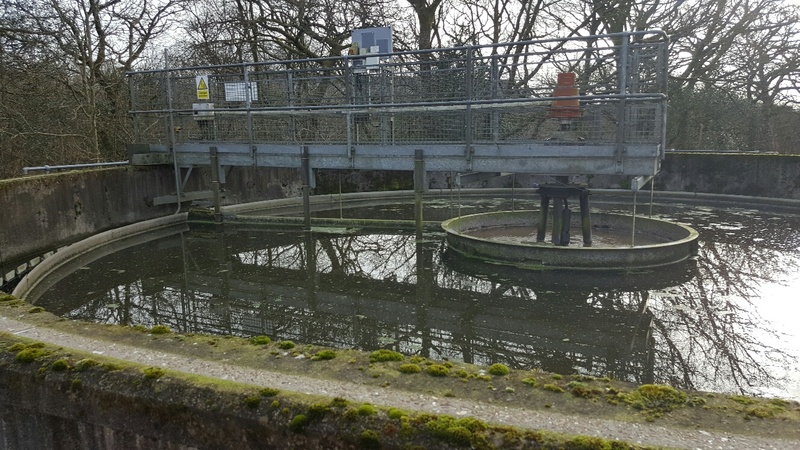 It’s been a busy start to 2017 with our sewage pumping station cleaning crews visiting over 500 SPS assets across the Thames, Welsh Water and Wessex regions this month. 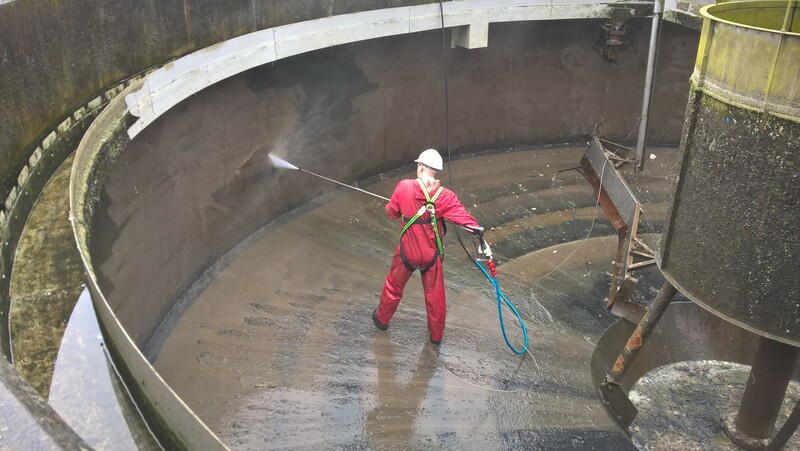 Carrying out both top and entry cleans, the majority have been part of the planned maintenance programmes we deliver for clients but some have been in response to SPS performance issues and in readiness for specific weather events. 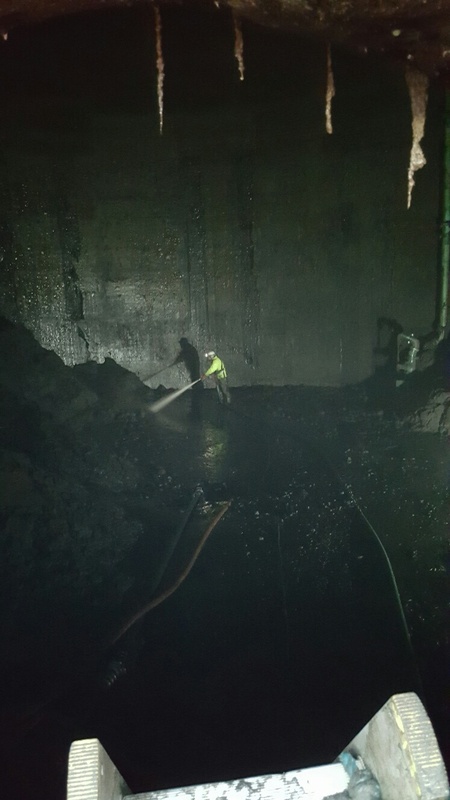 Our confined space cleaning crews have also had the opportunity to put the newest addition to our hyper-vac fleet through its paces. 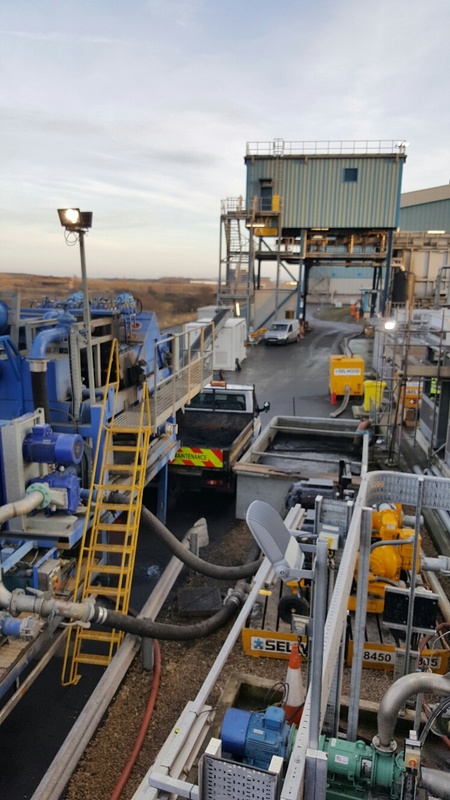 HV25 is proving to be a compact and powerful 2000 gallon 1200 CFM unit that can reach difficult to access locations, is equipped with Chapter 8 Traffic management and can recover and discharge materials from up to 100m deep and up to 300m in distance. 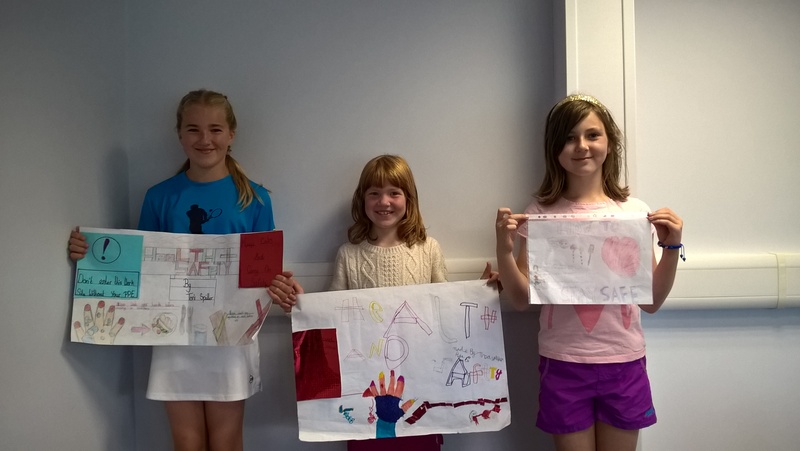 Congratulations to Alice, Toni and Thea for their efforts in our safety poster competition. We received some great colourful ideas that will be used throughout the year to underpin our exemplary safety and welfare performance. 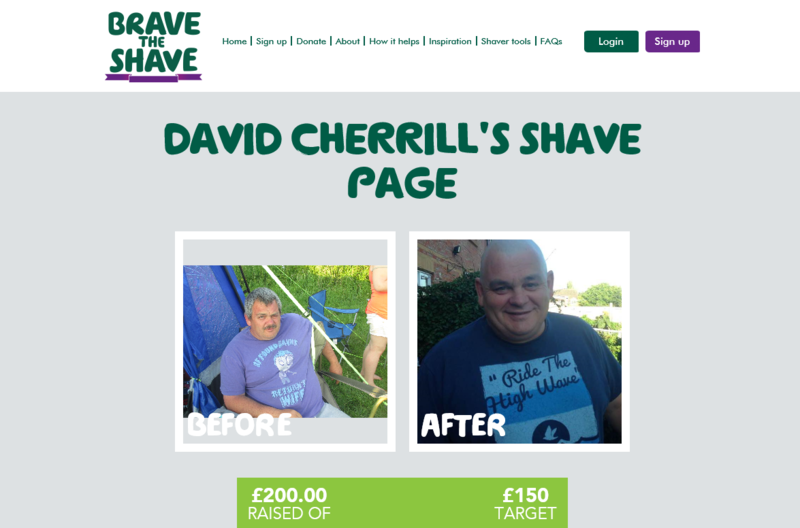 Well done to one of our HGV drivers operating out of our Slough depot who braved the shave for Macmillan and raised £200 !! 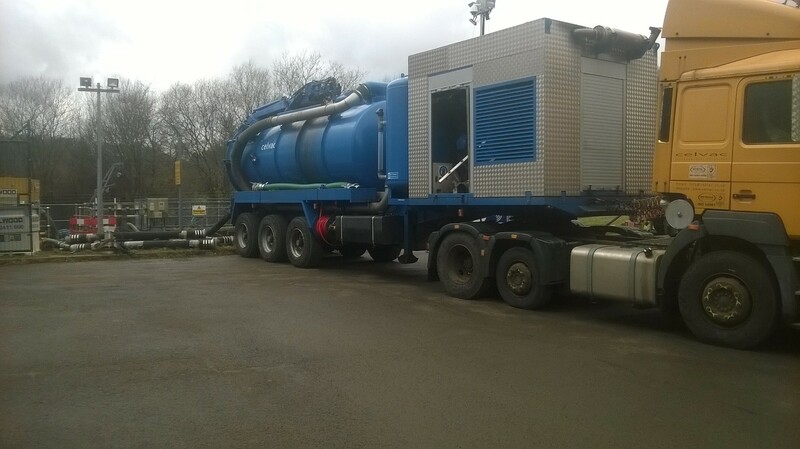 GSU 2 has just successfully completed a digester clean in Wales and will be on its way to the Taunton area. 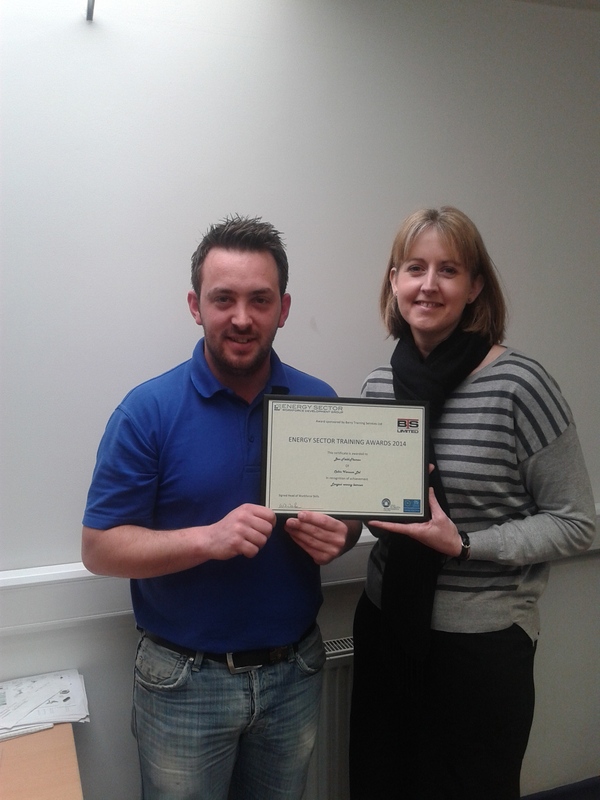 UVDB Verify accreditation has been renewed with the team achieving 100% in every category. 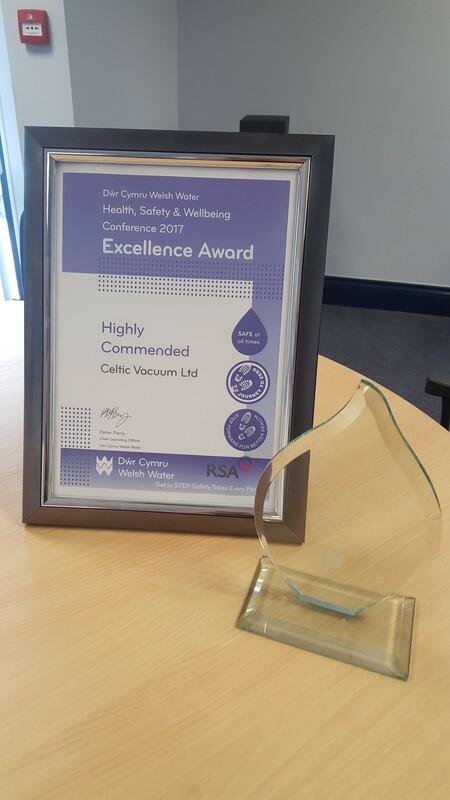 This underpins our ongoing commitment to improving standards and ensuring our site delivery is to the higest quality, environmental and safety standards. 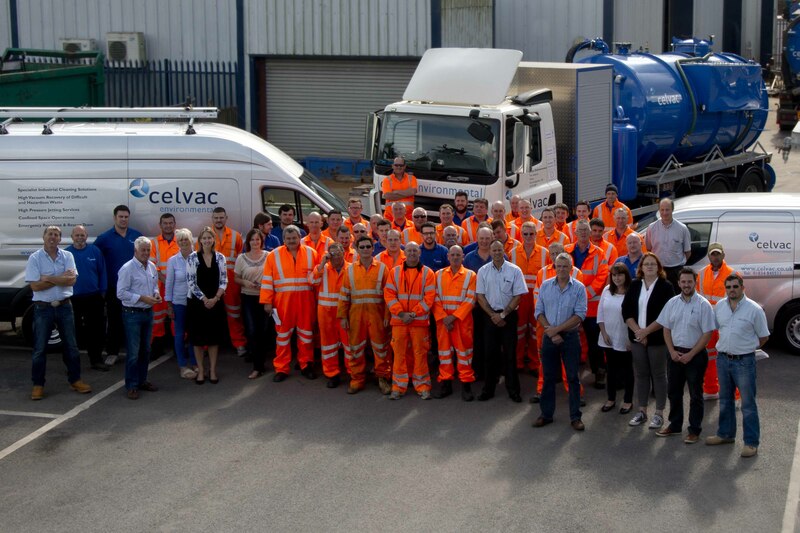 Celvac is proud to announce its achievement of the Bronze level of the Fleet Operator's Recognition Scheme (FORS). 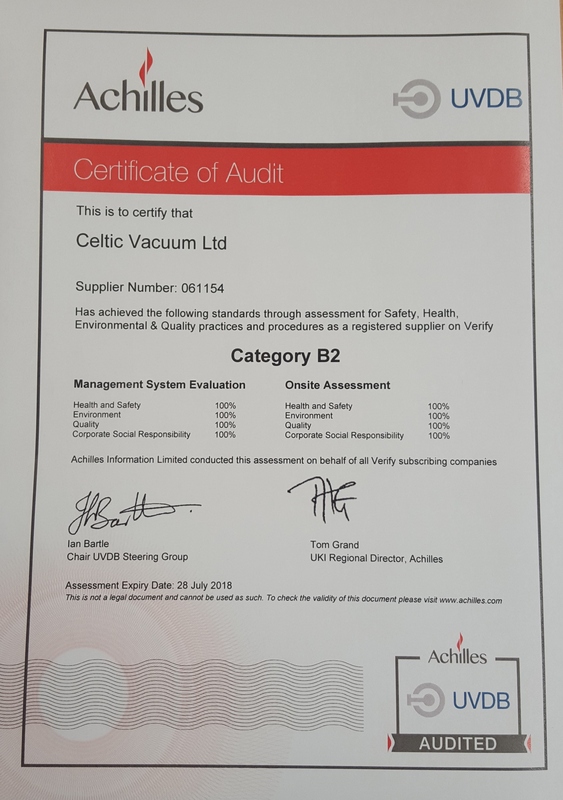 In Celvac's quest to continually improve systems, delivery and client satisfaction, this accreditation is further confirmation that we put safety, quality and environmental performance at the heart of our operations. 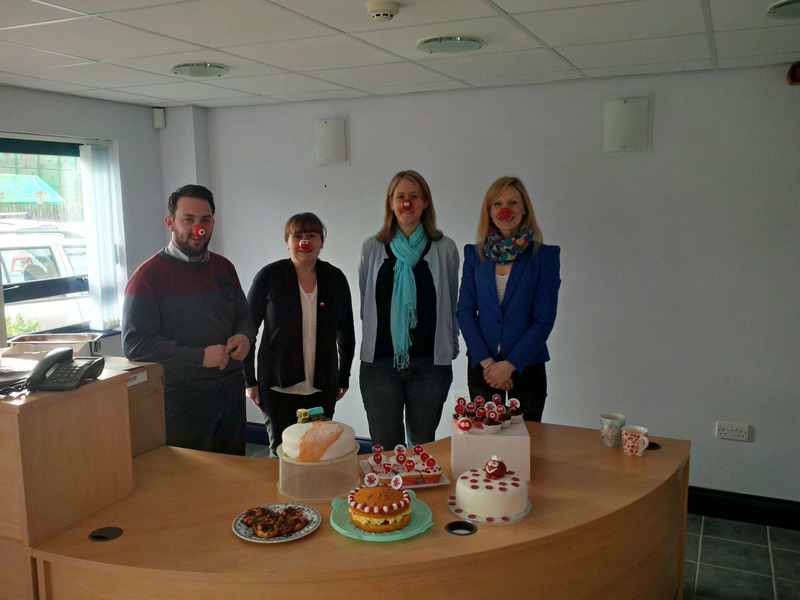 The Celvac team had fun raising money for Comic Relief this year and organised a bake off between a number of employees. 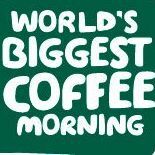 A total of £52.00 was raised in exchange for cupcakes, slices of sponge cakes and coconut macaroons. A few pounds were shed by everyone and a few gained around the waistline! 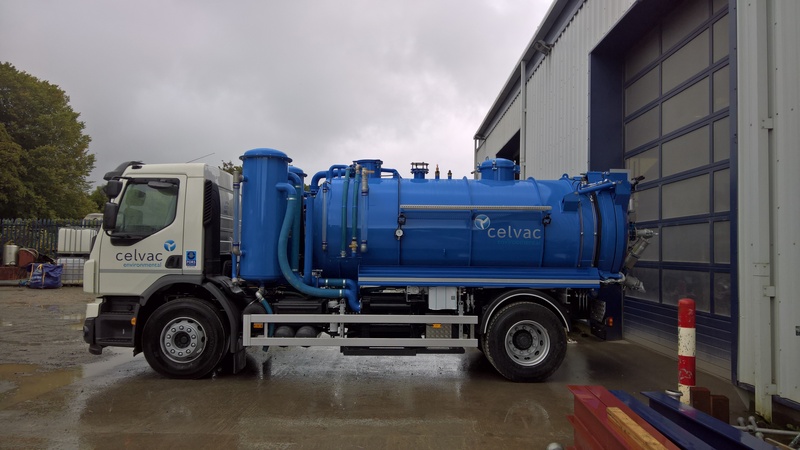 During Celvac's Safety Stand Down day new additions to the Celvac fleet were launched. 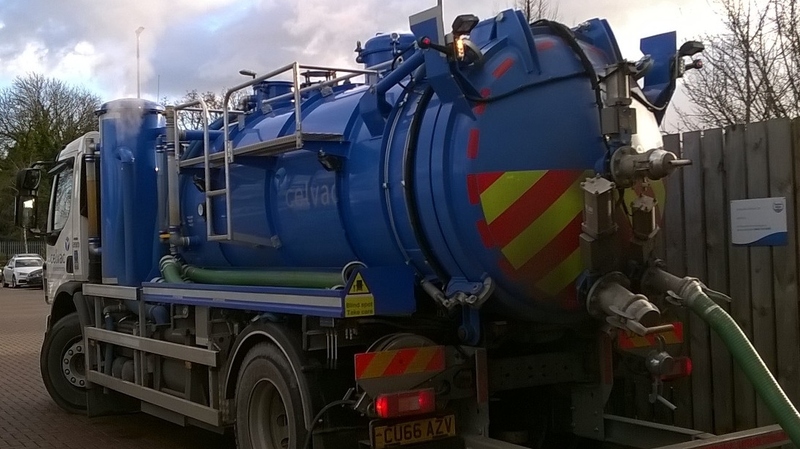 A number of new vans have been added along with HV19, a 3000 gallon vacuum tanker. The tanker was designed and built in -house by our specialist engineering team and joins our existing fleet currently working across the UK. A number of new high sided vans have also been purchased and fitted with additional safety features, including roof access systems that reduce the need for personnel to stand on the top of the vans that previously put themselves and others at risk. Joining these vans are a number of smaller vehicles assigned to the projects team and the mechanical fitters. 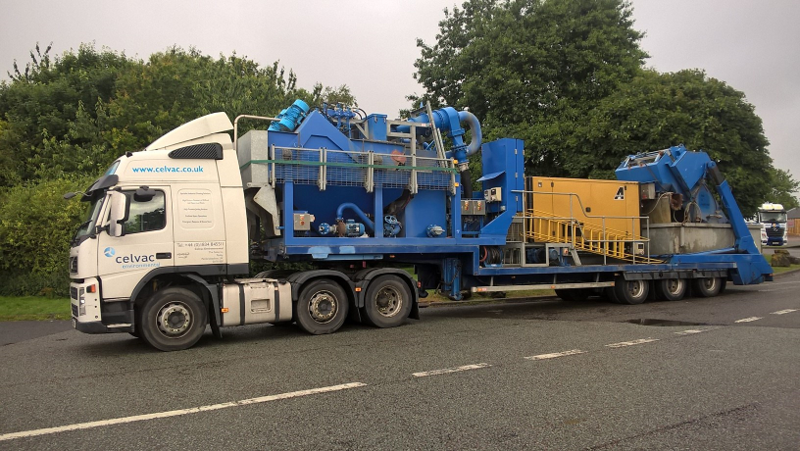 The mechanical fitters van has been kitted out with all the necessary equipment to be able to respond promptly to the majority of roadside breakdowns and technical problems. The entire Celvac team got together for their Safety Stand Down day at the end of August. 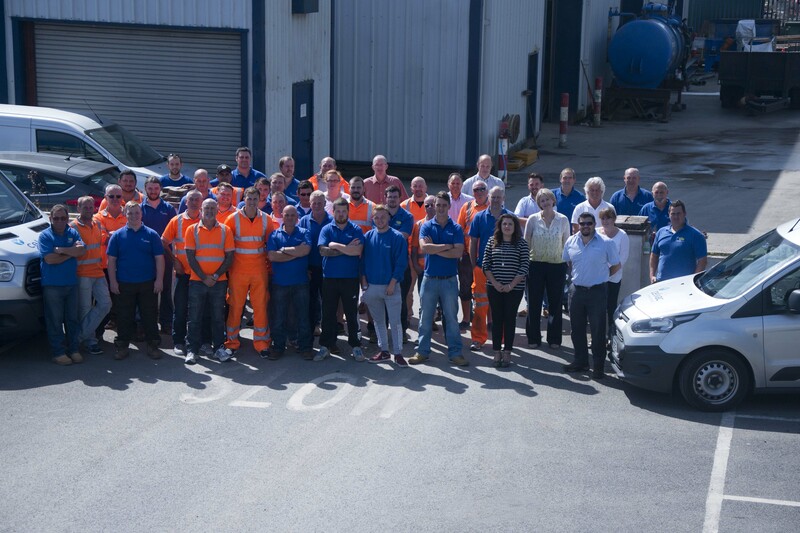 This day provided everyone with the opportuity to be refreshed with basic skills training, team leader development, driver training and was an excellent forum to discuss developments within the company. It was also an ideal opportunity to showcase some of the newer vehicles of the fleet and get to know new recruits better. 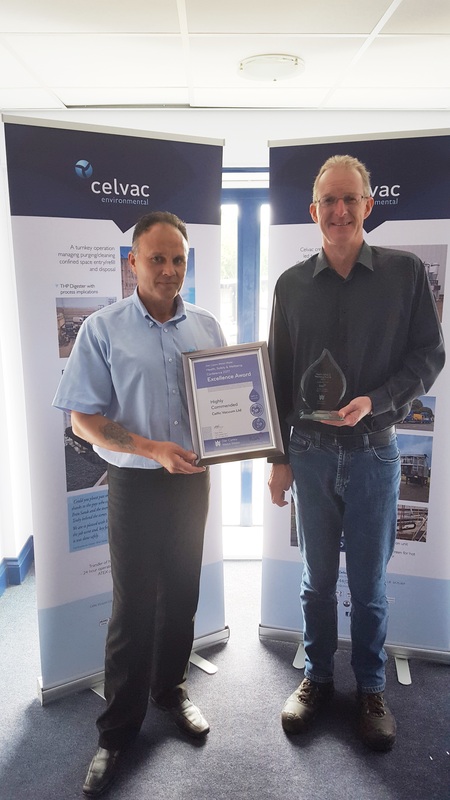 We are proud to annonce that Ben Field Thomas was awarded the "longest serving Trainee" award at a recent presentation evening at Pembrokeshire College. Since 2010 Ben has undertaken a number of learning and development courses, ranging from IOSH Managing Safely, C&G High Risk Confined Space Training, New Street Works, First Aid and LOLER in Confined Spaces, training regimes that have all contributed to his promotion in 2012 from Confined Space Team Leader to Projects Supervisor. 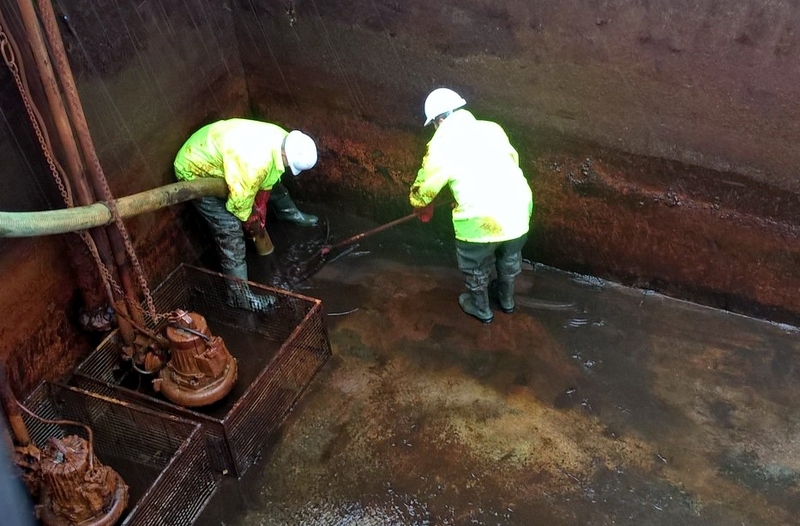 He is now responsible for managing a team of between 10 to 20 Celvac individuals assigned to our Thames Water contract for the provision of emergency tankering and wet well cleaning. Congratulations Ben! Welcome to the newest addition to our vehicle fleet. 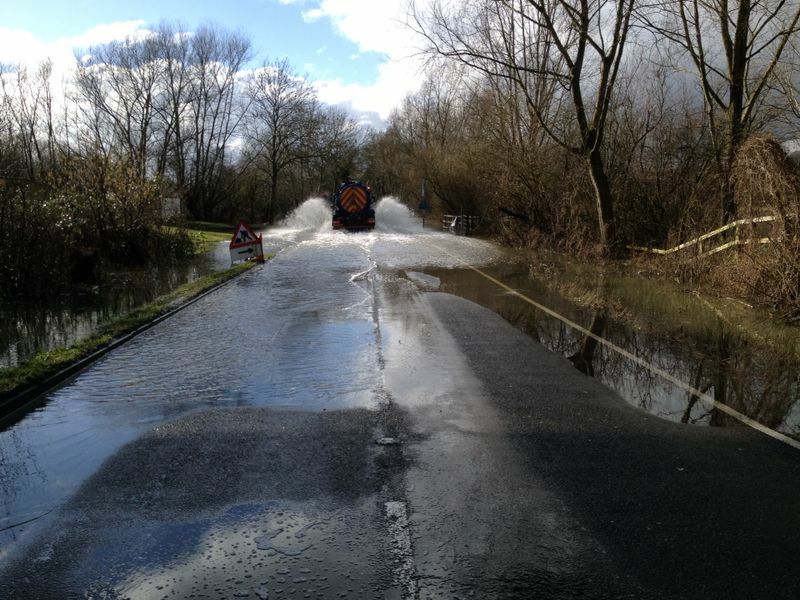 Keep an eye out for it working hard across the Thames area.